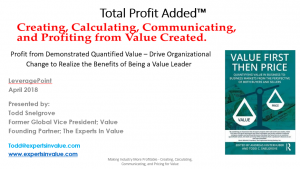 Companies that take a value approach are 24% more profitable than their industry peers. On the other hand, companies that buy based on best value are 36% more profitable than companies that do not. In both cases your sales team needs to be comfortable not only with the technical conversation, but with the commercial negotiation of why you’re worth more than the alternatives. Todd Snelgrove is a global subject-matter expert (SME) in value buying and selling, with over 50 article references in key publications, such as, HBR and Forbes and key note presentations at over 100 external industry and customer conferences bringing new insights to the highest levels with customers, and challenging customers to choose based on best value, not lowest price. Formerly Global Vice President of Value at SKF, Todd provided business model innovation, negotiation strategy for Key and Strategic Accounts, and drove the value mindset change. Hear best practices from a practitioner who not only drove the importance of calculating value but made sure that customers were able and willing to pay for that value. 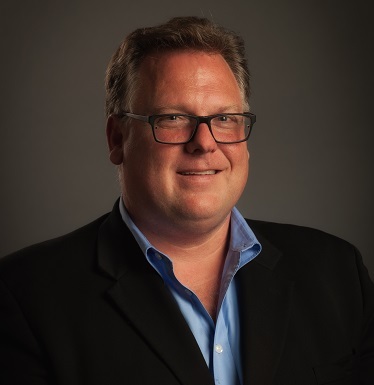 Todd is now the Founding Partner at The Experts in Value, www.expertsinvalue.com, a consultancy firm that helps companies drive the value strategy from ideation to financial realization, by making sure that value is created, calculated, communicated and priced for.